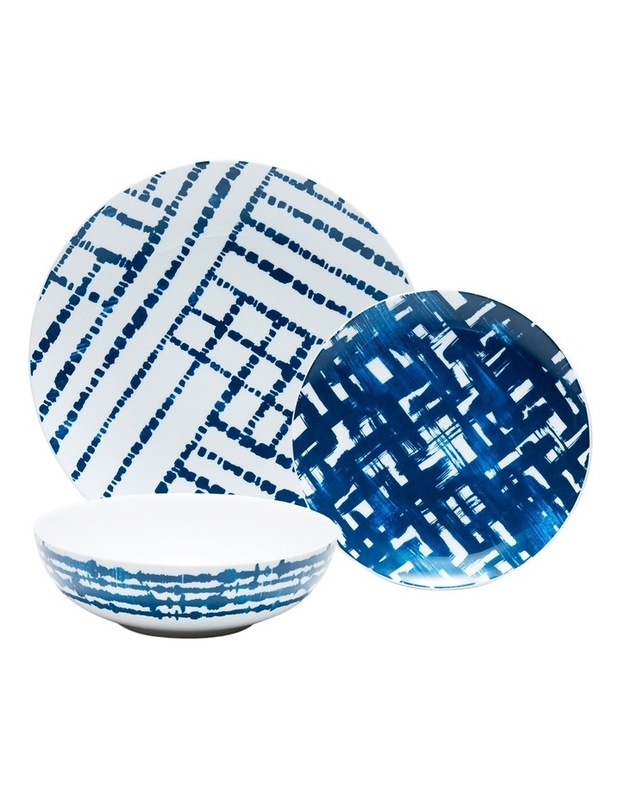 Salt&Pepper's AKARI 12 Piece Dinner Set has been inspired by the tradition of shibori dying techniques. Rich patterns in shades of indigo are layered to create the illusion of texture and capture the imagination. Each dinner set made from porcelain includes 4 x 26.5cm dinner plates, 4 x 20cm side plates and 4 x 18cm bowls. AKARI provides a unique setting for relaxed, yet stylish entertaining at home. Salt&Pepper is Fashion For Your Home.